By Richard Pieters, M.D. and Anthony Giamberardino, D.M.D. Versions of the following joint commentary by the presidents of the Massachusetts Medical Society and the Massachusetts Dental Society, calling attention to the dangers of smokeless tobacco, were published in several newspapers across the Commonwealth during July and August. The headlines first came with baseball Hall of Famer Tony Gwynn. His all-too-early death at 54 was attributed to the long-term use of smokeless tobacco. Now it’s former Red Sox pitcher Curt Schilling, who revealed August 20 that he was diagnosed in February with mouth cancer. “I do believe without a doubt, unquestionably,” said Schilling when making his condition public, “that chewing [tobacco] is what gave me cancer…I did it for 30 years. It was an addictive habit.” His physician agreed. Although cigarette smoking in the United States continues to decline, a report from the U.S. Centers for Disease Control and Prevention (CDC) indicates that the use of smokeless tobacco has held steady over the past nine years. CDC says that 14.7 percent of high-school boys, and 8.8 percent of all high-school students, reported using smokeless products in 2013. Oral cancer continues to be a serious problem in the U.S. More than 30,000 new cases are diagnosed each year, and the five-year survival rate is only around 50 percent. While a batting average of .500 would be considered outstanding in baseball, 50/50 odds aren’t very good in the game of life. The connection between oral health and overall health is well documented. What happens in the mouth can affect the entire body. Physicians are now being trained to examine the mouth and to work with dentists to make patients more aware of the importance of oral health as it affects their overall health and well-being. Programs such as the Massachusetts Dental Society’s Connect the Dots, in which physicians and dentists work together in the community, and the Massachusetts Medical Society’s establishment of a Committee on Oral Health mark the beginning of a growing relationship between physicians and dentists to promote oral health in the Commonwealth. But oral cancer isn’t the only health risk from smokeless tobacco. Users have an increased risk of heart disease, high blood pressure, heart attacks, and strokes. Many health issues are preventable, especially those related to tobacco use. The medical and dental professions can play a key role by providing education and screening for oral cancer. Major league baseball players have an important opportunity to contribute to this educational process by aiding in prevention efforts, particularly aimed at impressionable young people. For the past four years, the Massachusetts Dental Society, in partnership with NESN and the Boston Red Sox, has produced TV campaigns on the dangers of smokeless tobacco. The Massachusetts Medical Society and the Massachusetts Dental Society are committed to reducing tobacco use in all its forms and welcome the continued participation of the Red Sox and all of major league baseball. In 2014, chewing tobacco continues to be as much a symbol of baseball as the actual action on the field. 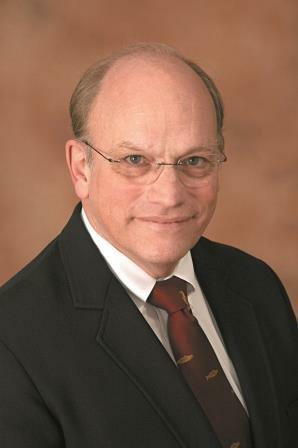 Richard Pieters, M.D., a radiation oncologist at the University of Massachusetts Memorial Medical Center in Worcester, is president of the Massachusetts Medical Society. Anthony Giamberardino, D.M.D. practices general dentistry in Medford and is president of the Massachusetts Dental Society. This entry was posted on Friday, August 22nd, 2014 at 8:34 am	and is filed under Health, Public Health. You can follow any responses to this entry through the RSS 2.0 feed. Both comments and pings are currently closed.